Access control systems are capable of offering big security benefits but they come with other advantages as well. Most discussions about access control systems often centers on the reliability and effectiveness those systems have as security measures—and it’s certainly the case that installing the right access control system in your facility can ramp up security and “harden the target”. 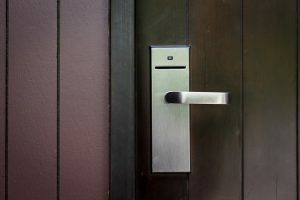 Access control systems don’t just stop at being useful tools for security, though, as they can offer business owners, government facilities, and more the opportunity to interface with their employees in new and exciting ways. These benefits of access control systems may not seem readily apparent but certainly have their advantages. Traditionally, we’ve had to rely on manual input of a lot of employee data. This can lead to costly and frustrating mistakes. Access control offers us the ability to automate the process and easily track when an employee enters or exits a facility, making the process of clocking in and out—and recording those punch times—a redundancy. Additionally, this allows for a quicker, streamlined process that can save your payroll processing department plenty of time. Plenty of facilities deal with heavy daily energy costs due to negligence by personnel. Lights get left on in spaces that are underutilized and at the end of the day, that ends up costing a hefty sum. Access control systems can be used to help automate lighting functions and prevent unnecessary energy expenditures. Instead of having to rely on trained personnel to maintain an orderly parking lot, why not make an automated system to do the work for you? The right system put in place can ensure that only the proper vehicles are granted access to your parking lot. It can also keep track of the amount of vehicles cross referenced with the amount of spaces, refusing access to drivers when the lot has filled to capacity and preventing a lot of end-user frustration. This entry was posted on Friday, April 13th, 2018	at 9:31 am	. You can follow any responses to this entry through the RSS 2.0 feed. Both comments and pings are currently closed.